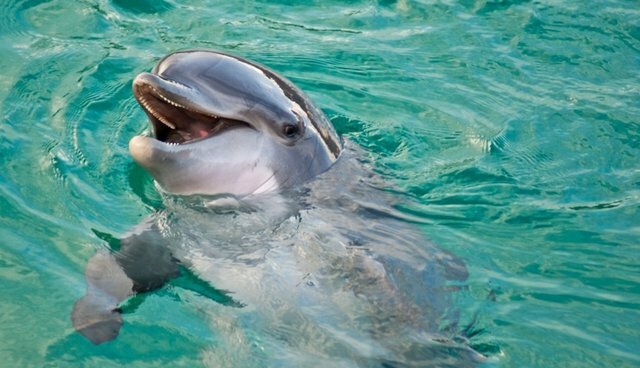 In the wake of shifting attitudes about the morality of keeping intelligent marine mammals confined in tanks, one of the most famous aquariums in the world is considering relocating all its dolphins - sending them to live out their days in a more suitable environment. John Racanelli, CEO of the National Aquarium in Baltimore, says that talks are underway to create a seaside sanctuary for the eight dolphins currently housed at the facility. The proposed project, which the aquarium announced last May, would be the first of its kind in the United States to provide a place for dolphins in captivity to "retire" from public display. Since taking on the job in 2011, Racanelli has overseen changes to how the aquarium exhibits dolphins - like by ending its long-running dolphin shows to focus instead on the animals' natural behavior. Moving the dolphins to a seaside sanctuary, where they could potentially be viewed remotely via cameras, would be another step in that direction. In an interview with Baltimore Magazine, Racanelli says that this project reflects a broader change in perceptions about keeping cetaceans in captivity, spurred on by documentaries critical of the practice. "Our audience has evolved," he says. "Baby boomers grew up on ‘Flipper,' but millennials grew up on ‘Free Willy' and ‘The Cove.' They are interested in these animals being treated more humanely." The sanctuary plans are still in the research stage, but could be completed in as little as three years.